What's at Stake in Recognizing a Jewish State? Simple game theory shows that the drive for perceived "fairness" in outcomes can leave players much worse off than they would otherwise be if they could swallow some of their pride. One could be forgiven for being confused about the nature of Israel's demand that it be recognized as a "Jewish state," and the Palestinian claim that this is unfair. Almost 20 years ago, as part of the mutual exchange of letters in the Oslo agreement, the PLO recognized the State of Israel and declared in a missive from Yasser Arafat to Yitzhak Rabin: "Those articles of the Palestinian Covenant which deny Israel's right to exist...are now inoperative and no longer valid." But along with settlements, final borders, refugees and Jerusalem, the recognition of Israel's Jewish identity is certain to be one of the stumbling blocks to a final peace agreement. In some previous rounds of negotiations, this demand has even precluded the parties sitting down at the table. What seems like an intractable issue can perhaps gain some traction toward resolution by rethinking what we mean by "fairness." In the Israeli-Palestinian conflict, neither side is going to be totally happy with the outcome. And neither side will necessarily view the negotiated outcome as totally "fair." But at the very least the rules of the game can be made more equitable. Moving the fairness discussion away from outcomes and toward process may in fact help restart and accelerate peace talks. The Jewish-state-recognition issue serves as a good example of this dynamic. All this has come to light again recently through a widely-circulated essay in al-Jazeera by Palestinian Professor Sari Nusseibeh. There, Nusseibeh contends that Israel's demand that the Palestinians recognize it as a Jewish state is unreasonable. Nusseibeh argues not only that it would prejudice the rights of the Palestinian refugees to return, but that it would negate the rights of Christians and Muslims to share control over Jerusalem; it would reduce Israel's Arab minority to second-class status; and it would undermine Israel's democratic character. Nusseibeh concludes that "rather than demand that Palestinians recognize Israel as a 'Jewish State'...we [suggest] that Israeli leaders ask instead that Palestinians recognize Israel (proper) as a civil, democratic, and pluralistic state whose official religion is Judaism, and whose majority is Jewish." Nusseibeh's semantic olive branch sounds reasonable enough, except that he couches his argument in terms of "fairness." Nusseibeh claims that it isn't "fair" for Israel to allow Jews to "return" to Israel and become citizens when Palestinians cannot. But simple game theory shows that the drive for perceived "fairness" in outcomes can leave players much worse off than they would otherwise be if they could swallow some of their pride. In my class, we play the "ultimatum game." I offer two students a five dollar bill. If one student can make a dividing offer that the other will accept, they can keep the proceeds. Frequently one student will offer the other just one or two dollars, keeping three or four dollars for herself. The other student naturally feels jilted, and walks away, and both end up with nothing. While Nusseibeh discusses Israel's democratic character and Jerusalem and Israel's Arab minority, the key aspect of the Jewish-state-recognition demand is the refugee issue. 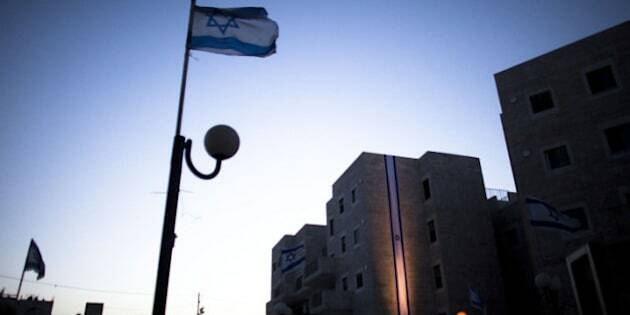 Even if Israel is recognized as a "Jewish state," Jerusalem can still be shared, and the Israeli Arab minority can be better accommodated than it currently is. But to retain Israel's Jewish character, the refugees cannot be granted full return. So it's no secret that by insisting that the PA recognize Israel as a Jewish state, the Netanyahu government is trying to foreclose discussion of refugees. If Palestinian refugees are granted wholesale return to Israel, Israel ceases to be a Jewish state. By preventing refugee return, Israel is able to hold onto its core identity. It follows that the most predictable outcome (limited return to inside Israel but unlimited migration to a nascent Palestinian state) is also the most pragmatic: Palestinian refugees get repatriated within their own state of Palestine, even if not exactly to their original homes, and Israel maintains its core identity, along with having to no doubt share Jerusalem and uproot tens of thousands of settlers. The Palestinians may not be ready to acknowledge this likely outcome yet. That will be for the negotiations themselves to reveal. But where the light of fairness should be shone is on the issue of process. By demanding that the Palestinians recognize Israel as a "Jewish state" at this juncture, Netanyahu is decidedly advancing an unfair process. However impractical it is to expect refugee return, the PA can't be expected to give up on the issue even before reaching the table. The upshot? Israel should stop demanding that the Palestinians recognize Israel's Jewishness before actually negotiating the refugee issue (even though everyone knows what the solution will be). The Palestinians should stop attacking Israel's Law of Return (which is really a domestic Israeli issue) in terms of fairness. And Israel should cease and desist from the most unfair action of all -- the building of settlements, as it changes the rules of the game -- creating "facts on the ground" in Likud parlance -- even as it is being played. Ultimately, states decide the nature of their own identity and their own immigration policies. Identities will end up being declared and recognized, once the material issues are worked out -- including what will happen to the refugees, who will control Jerusalem, and what final borders will look like. On various issues, both sides may end up worse off than they initially hoped for, but both sides will certainly be better off than they currently are in this seemingly endless cycle of conflict. Fixating on the fairness of solutions may preclude an agreement altogether. But trying to be fair about the process of negotiations is, well, only fair. And it is the only way to actually inch toward peace.